McClellan eventually resigned from the firm after a dispute with Edward Clark. In 1977 he established his own law firm. Some of McClellan notable cases include litigation for exploding Ford Pintos, tobacco-caused expenses on the health care system and the licensing and regulation of cell phones. He also obtained a Supreme Court ruling to protect parklands from freeways. McClellan is the father of Scott McClellan, the White House press secretary, and Mark McClellan, the Food and Drug Administration Commissioner. A fawning allegiance to Dallas and its billionaire leaders was something that would never change throughout Lyndon Johnson's political career. The true Texas oilmen were not the wild Glenn McCarthys of Houston or the corporate managers of the great oil companies, the "majors." Big Oil was in Dallas, and the most prominent members were conservative businessmen like Clint Murchison, H. L. Hunt, Wofford Cain, and D. H. "Dry Hole" Byrd." The wilder, less-inhibited Sid Richardson of nearby Fort Worth was also a member. These men went to work when oil was first discovered in the early part of the twentieth century, and, when the "black giant" was discovered in their back yards in 1931, they moved in. In an area of east Texas extending over five counties, large tracts of land over the black giant were up for grabs, and anyone with the guns and muscle could have the oil leases. They only had to get onto the property, fight off the other squatters and resist buyout overtures from the majors. Following remarkable success stories in those wild and woolly days, the new rich had the uniquely Texas right to brag nonstop, to fly their jets wherever, to gamble whenever they felt lucky, to own football teams, and, generally, to do whatever they damned well pleased. They did what billionaires did - whatever they wanted to do - and, as the new cash machines, they set the pattern for Texas culture for many yet to come. During these early years, a strange relationship developed between Big Oil and Washington on three separate fronts plus a notable deference on the fourth. First, the federal government had allowed Texas oil higher tax deductions than any other industry in America. A strange compromise cut in 1923 with the IRS benefited the oil business as no other. Depletion was one of three main government subsidies to the business, and this one was as sacred as the Alamo, saving oilmen millions by reducing their taxes up to 27.5 per cent. Specifically, this was an expense deduction for depletion of resources and was allowed as a reduction of taxable income. In 'Blood, Money and Power' Barr McClellan offers new insights into the dark and ruthless forces that propelled Lyndon Baines Johnson into the highest office in the land. His arch villain is Texan attorney Edward A Clark. He controlled LBJ's financial, legal and political fortunes for three decades from offices in downtown Austin. He accuses Clark, now deceased, of being the man who personally orchestrated the assassination of JFK when Johnson faced political ruin and possible imprisonment due to past misdeeds. For many this will appear a contentious scenario. Yet McClellan writes from a unique perspective. He was an insider. As a member of the Clark law firm, albeit from 1966 onwards, he was privy to specific conversations and shared confidences with colleagues that convinced him of Clark's principal role in the murder of Kennedy. He is to be congratulated on finally breaking the powerful attorney-client privilege that traditionally binds all lawyers in order to bring what he knows to the world. At the very least this work opens up a wider debate on the alleged complicity of Johnson and his henchmen in the murder of JFK. Barr McClellan 's insider's voice is a valuable addition to those who earnestly seek the truth of what really happened on November 22nd, 1963. I've also had the opportunity to read Barr McClellan's manuscript, in which he describes how he served as personal attorney to Ed Clark who served as the intermediary between Lyndon Johnson and all of his myriad political contretemps. One, of course, was JFK, and this book takes the reader through the labyrinth of Dallas and puts LBJ center-stage, and it is hard not to read the work and not shout, 'Guilty as hell!!'" There's an explosive new book that lays out a very detailed - and persuasive - case for the probability that the late President Lyndon Baines Johnson was responsible for the assassination of President John F. Kennedy. Bobby Kennedy, called five of Washington's top reporters into his office and told them it was now open season on Lyndon Johnson. It's OK, he told them, to go after the story they were ignoring out of deference to the administration. And from that point on until the events in Dallas, Lyndon Baines Johnson's future looked as if it included a sudden end to his political career and a few years in the slammer. The Kennedys had their knives out and sharpened for him and were determined to draw his political blood - all of it. In the Senate, the investigation into the Baker case was moving quickly ahead. Even the Democrats were cooperating, thanks to the Kennedys, and an awful lot of really bad stuff was being revealed - until Nov. 22, 1963. In response to an uproar caused by a History Channel documentary that claimed President Lyndon Johnson was involved in the Kennedy assassination, the network will air a challenge to that program by a panel of three historians. The special, airing 8 p.m. EDT Wednesday, is called "The Guilty Men: An Historical Review." The one-hour program is meant to rebut last November's broadcast of "The Guilty Men," which was based in part on a book published in 2003 by Barr McClellan, who claims the law firm he quit a quarter-century ago was involved in convoluted plots that link Johnson to at least 11 deaths, including President Kennedy's. The historians re-examining the allegations are author Robert Dallek, considered an authority on the presidency; Stanley Kutler, a law professor at the University of Wisconsin and a leading authority on 20th century American political and constitutional history; and Thomas Sugrue, an author and teacher at the University of Pennsylvania. Former CNN newsman Frank Sesno serves as moderator of the broadcast, which will air unedited by the History Channel, the network announced Friday. No preview of the program would be available, the network said. The Warren Commission concluded that Lee Harvey Oswald was the sole assassin involved in Kennedy's death in Dallas on Nov. 22, 1963, but conspiracy theorists continue to advance alternative plots. While the three historians acknowledge lingering public doubts about the Warren Commission's findings, they dispute as unfounded the theory that President Johnson was involved. Johnson was Kennedy's vice president at the time of the assassination. The historians along with other scholars were highly critical of "The Guilty Men" and of the History Channel's decision to air it last fall. Former aides to Johnson, along with former presidents Ford and Carter and President Johnson's widow, Lady Bird Johnson, sought an independent probe of the claims. The network apologized on Friday to its viewers as well as to Mrs. Johnson and her family for the program. It said will no longer be aired or made available on home video. "We have a great responsibility and this time we did not live up to it," said Dan Davids, History Channel executive vice president. "We hold ourselves accountable. As we have said before, nothing is more important to us than the accuracy of our programming and the integrity of our network." In In October 2003, Barr McClellan published Blood, Money & Power: How L.B.J. Killed J.F.K. 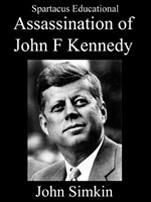 As its title suggests, the book makes an astounding claim that former President Lyndon Johnson, and other deceased officials and persons, were involved in a conspiracy to murder President Kennedy. This claim is patently absurd. Yet according to the New York Times, over 75,000 copies of the book have been sold. McClellan is a retired Texas attorney who says he once represented LBJ. He also happens to be the father of Scott McClellan, President Bush's press secretary, and Mark McClellan, whom Bush appointed commissioner of the Food and Drug Administration. When subsequently promoting his book on Fox News, McClellan went even further, claiming that LBJ "had killed before. He knew how to do it. He was comfortable with it." When the astonished host asked if "the president was a multiple murderer," McClellan said, "yes, he was." A month after the book's publication, the History Channel featured McClellan's contention in a documentary. The Wall Street Journal described the documentary as "conceivably the most malignant assault on sanity and truth (not to mention history) in memory." But it was shown far and wide: the History Channel's programs are sent to 125 million subscribers in some 60 countries. 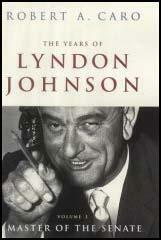 As a result of the book and the documentary, Lyndon Johnson has become a subject of vilification and hate. Nasty and threatening letters have been sent to the LBJ Library - including threats to tear it down. Understandably, those associated with LBJ have sought to correct the record. LBJ Foundation Chairman W. Thomas Johnson (no relation) tried to get through to the head of the History Channel after the documentary was aired. His initial complaint fell on deaf ears. Former LBJ press secretary and longtime newscaster Bill Moyers tried to do the same. He hoped to ask a History Channel executive to investigate the allegations, because he was sure that they would find them false. But Moyers had no more success than Johnson. 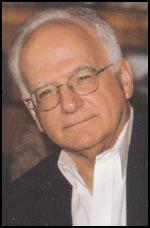 Motion Picture Association of America president Jack Valenti also sought to challenge the documentary. A former Johnson White House aide, Valenti offered powerful evidence that McClellan's story was bogus: Valenti was with Vice President Johnson at the very time when McClellan has him busy conspiring with Nixon, J. Edgar Hoover and others. When the initial efforts failed, Johnson, Moyer and Valenti enlisted former President Gerald Ford, who had been a member of the Warren Commission. Ford sent a letter charging that the McClellan allegations were "the most damaging accusations ever made against a former vice president and president in American history." Former President Jimmy Carter also helped; Carter told Tom Johnson, "If it can happen to him (LBJ), it could happen to me after I'm dead." And LBJ's widow Lady Bird, though 91 years of age and recovering from a stroke, joined the others with an eloquent letter to the heads of the parent companies. Finally, the History Channel agreed to conduct an independent review of the documentary. They have retained three respected historians to examine the material: Stanley Kutler, Robert Dalleck, and Thomas Sugrue. The Guilty Men presents yet another theory about the assassination. But The Guilty Men doesnt merely present the theory in a neutral manner; it offers up big lies uncritically, and therefore propagates them. If an objective documentary were to be made about Johnsons alleged involvement, say 60 minutes in duration, 30 minutes would have to be devoted to presenting Johnsons side of the case. It would take at least that long to rebut the potpourri of charges that have been leveled over the years (ranging from variations on Garrisons Qui bono theory to the oil depletion allowance motive). Unfortunately from Johnsons perspective, his alleged co-conspirators all have one thing in common: they are deceased. Indeed, it does not seem coincidental that the persons so casually slandered in The Guilty Men (such as Edward Clark, Don Thomas, Cliff Carter, Clint Murchison, Jr., J. Edgar Hoover, and John Connally) all happen to be dead. This has been the The Men Who Killed Kennedy modus operandi since the first two episodes had to be redone. At the same time, some very well-informed individuals about Texas politics are still around, and their absence from the program is glaring. One thinks of Ronnie Dugger, for example, who wrote (as editor of the Texas Observer) about the machinations of some of the individuals mentioned during the course of the program, most notably Billie Sol Estes. Dugger is not known to be overly enamored of Lyndon Johnson and is on record as not even subscribing to the Warren Commissions findings. How is it that someone with his demonstrated knowledge, expertise, and first-hand exposure to Texas politics and business circa 1963 - a journalist who knows the Texas players - is not to be found on the program? Might it have something to do with Duggers ability to debunk these allegations? Instead of someone like Dugger, the episode presents the viewer with self-styled assassination experts like Edgar Tatro, Gregory Burnham, and Walt Brown, and alleged witnesses like Barr McClellan and Madeleine Brown whose concoctions cannot be corroborated by circumstantial evidence. A few examples will suffice to illustrate that not one person in this group is either an expert or reliable. Blood, Money & Power: How LBJ Killed JFK, my book on the assassination, centers on 68 exhibits showing a lifetime conspiracy between Lyndon B. Johnson and Ed Clark (the "secret boss of Texas)," a 1961 murder case with LBJ an unindicted co-conspirator, and the fingerprint match for Mac Wallace, one of three assassins. With a deep look into the sordid facts from LBJ's inner sanctum, we analyze the crime scene and conclude with a jury argument connecting the facts, leaving the reader to decide. Most Americans have decided. The latest Gallup Poll shows only 11 percent believe in lone nuts. Our collective decision as a nation is there was a conspiracy, and we have decided not by a landslide but by an avalanche. Last November, Nigel Turner presented "The Guilty Men" on the History Channel, featuring 11 witnesses and researchers showing LBJ's involvement. Jack Valenti and Bill Moyers, representing the LBJ interests, tried to cancel the series. The History Channel refused, pointing out that the facts were "overwhelmingly researched," that free speech was to be protected, and that Valenti could prepare a response. Censorship failed. The series, part of Turner's award-winning documentary, "The Men Who Killed Kennedy," proved a best-seller. In January, Valenti tried again, this time bringing far more pressure. The History Channel gave in, naming three historians to review the series. My book was not mentioned; however, since I appear in "The Guilty Men," I offered full cooperation to the review panel even though one member had already stated LBJ had nothing to do with the assassination. We have received no response. Recently we learned the History Channel has pulled "The Guilty Men" and will not sell it again. There is no longer a reason for the review panel. What we should see is blocked. This ridiculous censorship says we are getting closer to what happened in Dallas on Nov. 22, 1963. We have turned a corner. This ongoing effort to kill the facts will not succeed. Instead, it shows still another desperate effort to cover up and whitewash. This censorship is not our American tradition of free speech and debate. In that tradition, we challenge Valenti to produce the still-secret records. Most Americans do not like the fact that a vice president assassinated a president. As patriotic citizens, we support the office of president and are reluctant to condemn the individual occupying it. My book has the hard exhibits showing it was not only possible but that it did happen. As attorney for LBJ, I go behind the attorney-client privilege to reveal super-lawyers Ed Clark and Don Thomas at work, voting the dead in the 1948 Senate election, laundering millions of dollars in cash, dealing with "wonder boy" money, and then setting the conspiracy in action. I also show a critical fact the Warren Report overlooked - motive. Who benefits? From childhood LBJ ruthlessly craved power; he had enjoyed being president. In fact, during Eisenhower's last two years, he had no respect for Kennedy, and the 1961 murder forced him to act. He wanted to act, he had to act, and he did. As this battle between censorship and disclosure unfolds, keep an eye on the facts. The censors have made several misstatements. There are witnesses to talk and men to be prosecuted. I have been saying what I know since 1984. Even Earl Warren admitted the Report was his biggest mistake. Even LBJ admitted there was a conspiracy but took no action. As we go further in the now 40-year-old investigation, additional facts will emerge. Ignore the censors and keep watching. The truth will out.